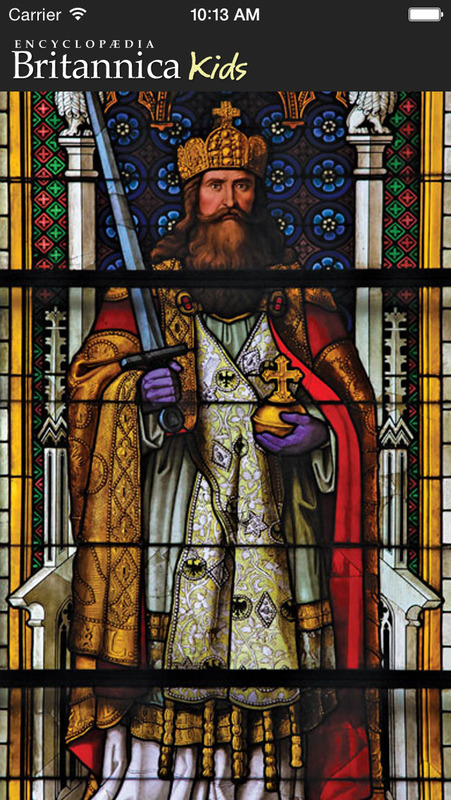 Knights and Castle looks at the rise of the chivalric knight and knightly orders, life inside a medieval castle and further medieval legends all in a really cool and interactive way. This app has been designed to help with homework, projects and exams but at the same time children get fun and excitement while learning. Plus as it’s from Britannica you can be sure it’s appropriate and safe for the whole family! 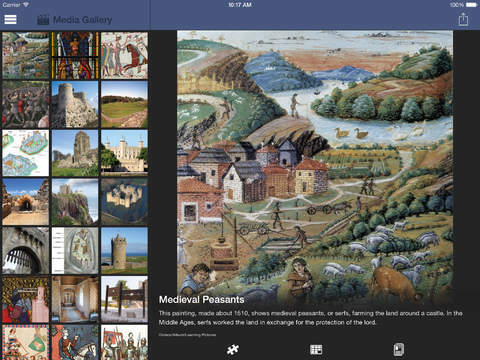 Britannica Kids Knights and Castles app is suitable for children ages 6 and up and has been developed around Britannica’s exclusive curriculum-based content with high quality images and interactive learning games. Map – With this amazing tool you can locate where you are anywhere in the world. Want to see a castle ruin? It’s easy with our map tool, and you can use the zoom feature to see the location up close. Jigsaw Puzzles, created from stunning scenes from the apps image library. Break apart the puzzle and have some fun by shaking your device (iPod and iPhone) and then sliding the pieces back into place to complete the puzzle - it’s not as easy as it looks! 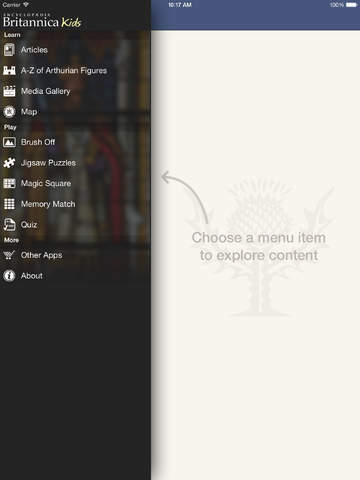 Scramble images of impressive castles and glorious paintings in The Magic Square game by shaking your device (iPod and iPhone). Challenge yourself by re-arranging the squares to unscramble the image. Brush off - brush the layers to reveal parts of a castle structure and then try to guess what they are – how many can you answer correctly? Test your knowledge on Knights and Castles with the Quiz feature - how much have you learned? But hurry: you must answer quickly as the quiz is timed! Test your memory with the popular Memory Match game an match up the pairs! 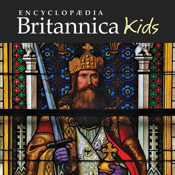 Why not take your exploration into Knigthts and Castles a step further and link to Britannica’s online services – Britannica Kids Online or Britannica Online – to continue your discoveries.